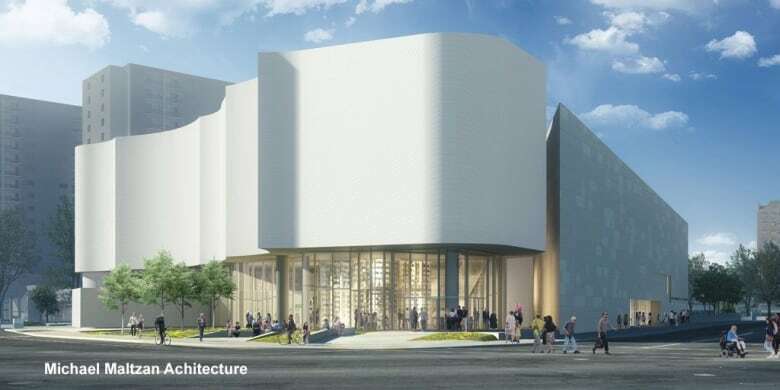 When complete in 2020, the Winnipeg Art Gallery says the new $65-million Inuit Art Centre will be home to a collection of contemporary Inuit art unlike any other in the world — and will bring new stories to the forefront. Beneath the Winnipeg Art Gallery, Darlene Coward Wight unlocks and enters an underground vault full of treasures of the North that are destined to rise and take over the busy downtown street corner next year. Above ground, bundled-up construction workers pour cement over lattices of rebar as two giant cranes extend into the sky, building the new Inuit Art Centre that will be home to some of the art currently hidden from public view in the vault. Wight, the WAG's long-time curator of Inuit art, spends a lot of her time in the windowless basement Inuit art vault tending to 7,500 stone, bone, antler and ivory carvings from across the Arctic that line tall shelves. "The big thrill of being a curator is that I get to touch stuff all the time and thoroughly enjoy it," she said after slipping on a pair of white handling gloves. "Whalebone things, for example: you look at it, you think, 'Wow, that must be heavy.' And then you pick it up and it's light as a feather, because it's so porous and it's been in the ground for 200 years." That sense of texture is one thing that distinguishes a lot of Inuit art from the rest, and it won't be long before members of the public get a feel for some of the WAG's vast collection of nearly 14,000 pieces. When complete, the gallery says the new centre will be home to a collection of contemporary Inuit art unlike any other in the world — and will bring new stories to the forefront. "This is a game-changing museum," said WAG CEO and director Stephen Borys. Construction on the forthcoming $65-million Inuit Art Gallery is projected to finish in spring 2020, with the gallery opening to visitors that summer. Shovels hit the ground in May of last year, but only about $56 million in funding has been secured. Three levels of government have committed $35 million — $15 million each from the federal and provincial governments, and $5 million from the City of Winnipeg. Of the remaining $30 million needed, public and private partners have helped cover almost $21 million so far. "This final year of the campaign is a critical year," said Borys. "We're going to reach our goal, but it is important as the building goes up that not everyone thinks all the money is there." Michael Maltzan Architecture's design for the gallery is inspired by northern landscapes. Once done, passersby will see a building exterior that looks like a white wave of tundra snow undulating out toward at the corner of Memorial Boulevard and St. Mary Avenue. 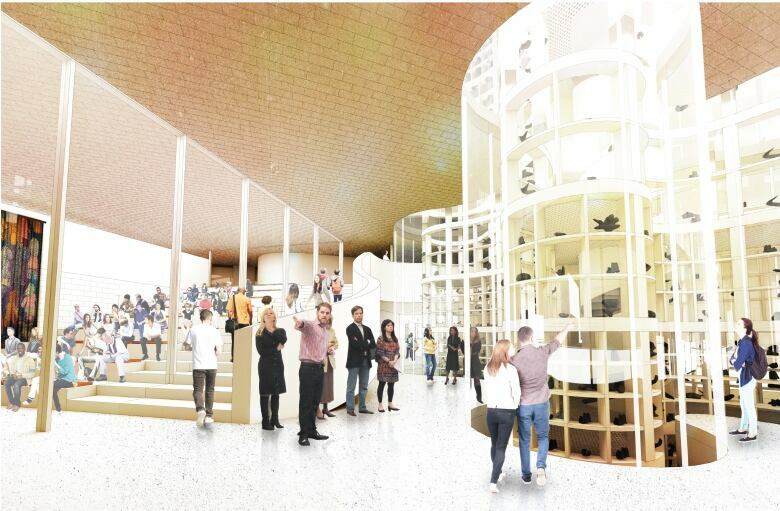 The 40,000-square-foot centre, which will be connected to the WAG's existing space next door, will allow visitors to explore four levels, starting in the 5,000-square-foot glass atrium. There, a three-storey-high glass vault will display the carvings that will be viewable from all sides, and visitors will be able to watch curators and museum staff work with the pieces. The second level will include a 90-seat theatre capable of showcasing films and presentations from elders, performers and storytellers, but it will also have an interactive component. 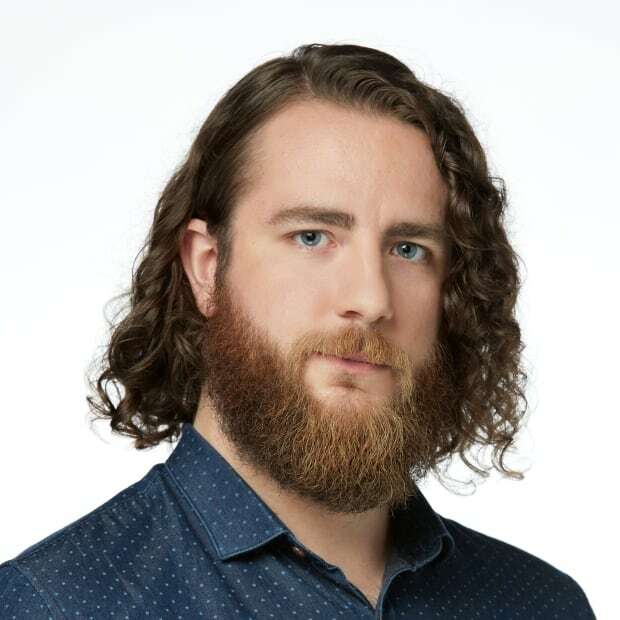 "We'll be able to connect a classroom in Winnipeg to a classroom in Rankin [Inlet] or Iqaluit," said Borys, overlooking the construction site from the WAG penthouse. "We'll be able to kind of transport an elder carver right here for the kids to see." That floor will also have a carving area, library and learning commons that will serve as an international education, development and research hub for curatorial internships and arts workers. The third-floor will boast an 8,000-square-foot, 30-foot-high exhibition space for the largest Indigenous gallery in North America, Borys said. Five indoor and two outdoor studios where students of all ages will learn about northern Indigenous culture will be located on the fourth floor. Borys said the Inuit Art Centre will reflect the spirit of the Truth and Reconciliation Commission calls to action and help people understand the legacy of colonialism in the North. "How do we tell that story? We tell it through the people who experienced that," said Borys. For Inuit artists, that means reflecting on the legacy of the residential school system, forced relocation and more, he says. "They're also documenting climate change," said Borys. "They talk about the impact of mines and major developments going on. They talk about the shipping industry, tourism industry. They talk about it through their art." The contemporary era of Inuit art began about 70 years ago. Traditional nomadic living and subsistence hunting practices were changing amid the ongoing pressures of colonization. More and more Inuit people were forced to settle in permanent communities, losing their language and parts of their cultural heritage in the process. Many were confronted with a new reality. "There was really nothing to do to make money," said Wight. "Arts and crafts just filled that gap in just such an amazing way." Carvings of shamans, mythical creatures, polar bears, seals, muskox, caribou, walruses and other northern wildlife dominated much of the era. 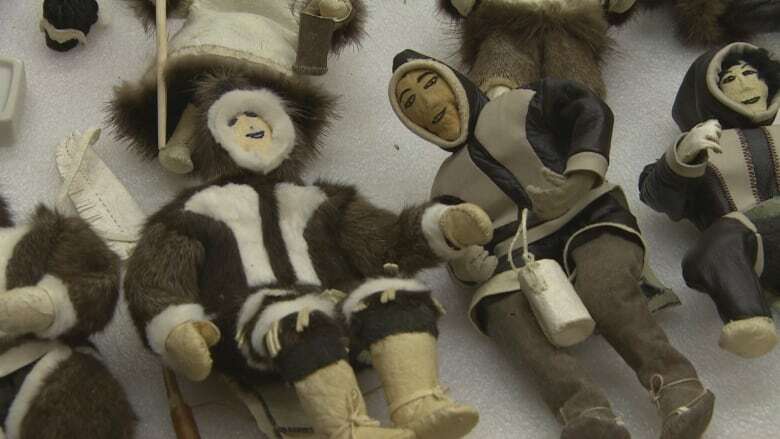 It was a successful Inuit exhibit in Montreal in 1949 that really thrust the art into the spotlight around the world, said Wight. "It was really the beginning of an amazing phenomenon," Wight said. "The media and collectors just went crazy over these stone pieces." Living in harmony with the land remains a common theme, though the body of Inuit artwork continues to expand beyond carvings. About 6,000 prints, drawings, ceramics, textiles and dolls will also be displayed when the centre opens. Increasingly northern artists are also experimenting with film, writing, sound, photography, performance and a variety of mediums to reflect how life in the North has changed. "There are a number of artists that are really interested in showing not just the romantic side of living in the Arctic but some of the darker sides, some of the social problems like suicide, substance abuse," said Wight. "You're still seeing the traditional stories being told, but they're being told in very modern ways." 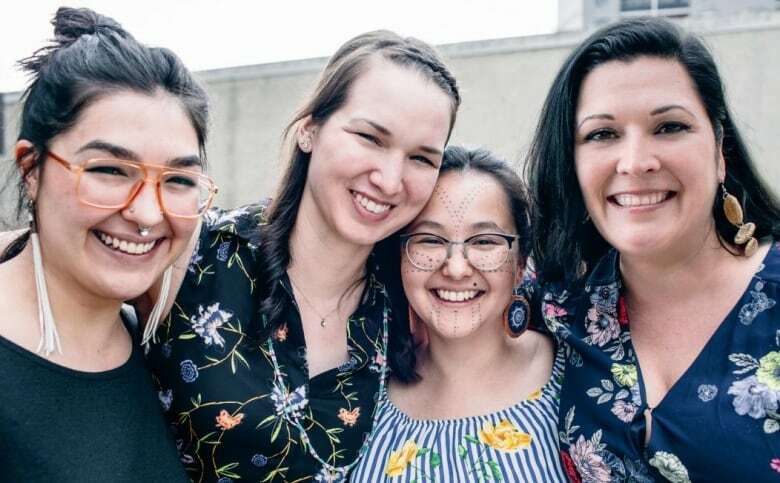 Four Inuit guest curators will put on the Inuit Art Centre's inaugural exhibit, titled INUA, that will explore the future of Inuit art. The lead guest curator is Heather Igloliorte, co-chair of the WAG's Indigenous advisory circle, and an associate professor at Concordia University who holds the school's research chair in Indigenous art history and community engagement. Emerging curators and artists Kablusiak (also known as Jade Nasogaluak Carpenter), Krista Ulujuk Zawadski and Asinnajaq round out the group. In what the WAG calls a first for any exhibit, each of the curators is from one of the four different regions of the Canadian Arctic. "In lots of things that we consume, we're looking for little pieces of truth of the world, and I think that it's really honest to have more than one curator," said Asinnajaq. "It means more than one perspective, taking in more than one view of the world." She produced the 2017 short film Three Thousand, which chronicles how quickly Western institutions and value systems rendered traditional life in the North almost unrecognizable. But there's a challenge in the new art centre too, she says. Winnipeg isn't the home territory of the art that will fill the centre, which will require both the gallery and Inuit artists to work to ensure they're maintaining relationships with each other over time. Igloliorte is excited about the leadership opportunities the Inuit Art Centre will provide to a new generation of Inuit curators so they have more of a say in the interpretation of that work. She said museums have long been complicit in colonization, from displaying human remains to questions over theft of cultural objects. "There have also been long histories of many diverse voices not getting the opportunity to be represented in institutions that collect mostly European art, mostly historical art, mostly white male work from Europe," she said. She's confident the Inuit Art Centre will be a step in the right direction. "In Canada, especially in the post-TRC world that we are in, we have an obligation to do better, and to be more representative and to be more welcoming," she said. "If the Winnipeg Art Gallery has the world's largest collection of Inuit art, then the Inuit Art Center goes a long way towards that path of reconciliation." It's no secret the art world runs on trends, and Asinnajaq said she feels there is a revived interest in Inuit art right now. "It always feels like there's a clock ticking, and you wonder, 'When will we go out of trend again?'" she asked. "But knowing that we're going to have this centre means we know we'll have somewhere as long as that building is standing to share and showcase our voice."